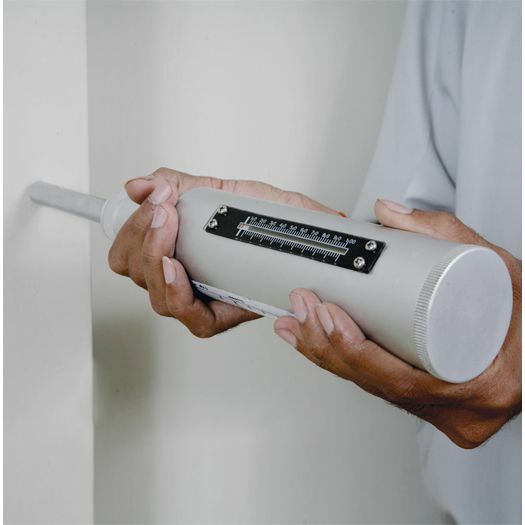 The Mechanical Concrete Test Hammer (Schmidt Hammer) test is the quickest, simplest and least expensive method for non-destructive evaluation of concrete and other masonry materials. 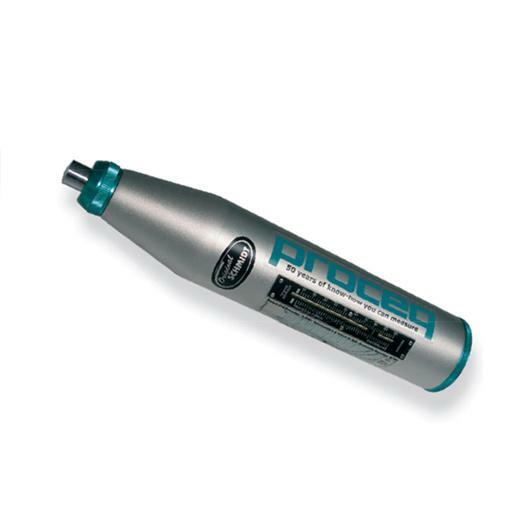 It is most ideally suited to the measurement of material uniformity over large areas of structure. 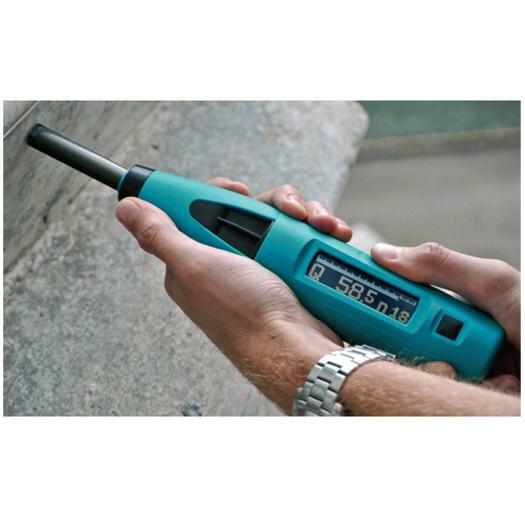 It provides a measure of relative material surface hardness and is used extensively for the testing of concrete and rock. The hammer consists of a spring loaded plunger which when released, strikes the surface. During the rebound stroke, the mass moves a pointer that indicates the maximum point of return and at the same time indicates a reference value on the scale called the redound number. This number, when converted based on correlation table, gives the compression resistance value in respect of the impact angle.